MFR accepts monetary and non-monetary donations. We are very grateful to our many donors, without whom none of this would be possible! For monetary donations: donate now! The MFR Donations Team facilitates donated clothing, shoes, household items, bedding, school supplies, and more, to refugees in need of assistance. We coordinate donation drives to benefit the individuals and families living at refugee centers in Madrid, and we also respond to the specific needs and requests of refugees living on their own in the community of Madrid. Fill out the Donations Form to let us know what you’d like to donate from our Necessary Donations List. Why can’t we accept everything? Madrid For Refugees has no long-term storage space, so we can only accept donations that can go directly to a family in need. We are also committed to maintaining a high standard of quality and cleanliness for the items we deliver to refugees. Accordingly, we kindly ask that interested donors review the acceptable donations checklist before proceeding. Clothes must be gently used, washed, have all buttons and zippers intact, and be free of stains, rips and holes. Household items and toys must all be in good and working condition. Toiletries, makeup, feminine hygiene products, and diapers must all come new and unopened. Furniture must be in good condition and delivered by the donor. 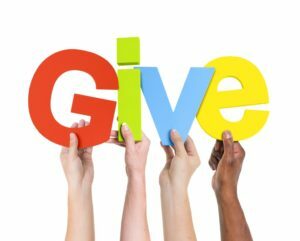 Would you like to help the Donations Team? We always need more volunteers with cars to pick up bulky donations, or to deliver donations of clothing and household items to refugee families in the outskirts of Madrid. Are you hosting an event/party for your social group or religious community? Do you teach at a school and want to involve your students in a meaningful project? Ask your attendees or students to bring and donate something useful to donate and bring in what you collect. Feel free to contact donations@madridforrefugees.org if you are interested in collaborating with MFR as a driver or hosting an event to collect donations on our Necessary Donations List. Thanks for visiting Madrid For Refugees! Madrileños coming together to help others.